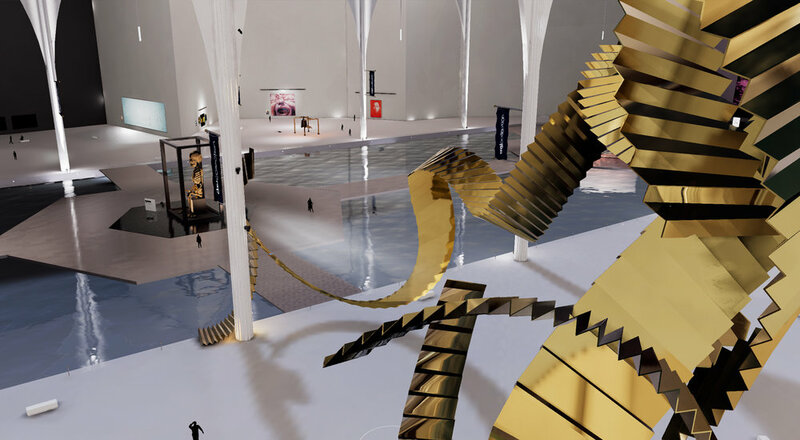 Discover the virtual museum of an extraordinary collection of contemporary XXL Chinese Artworks. Since 2005, Dominique and Sylvain Levy have always pioneered the presentation of their collection of contemporary Chinese art by creating revolutionary digital medias. This experience is the first VR Private museum of the world. 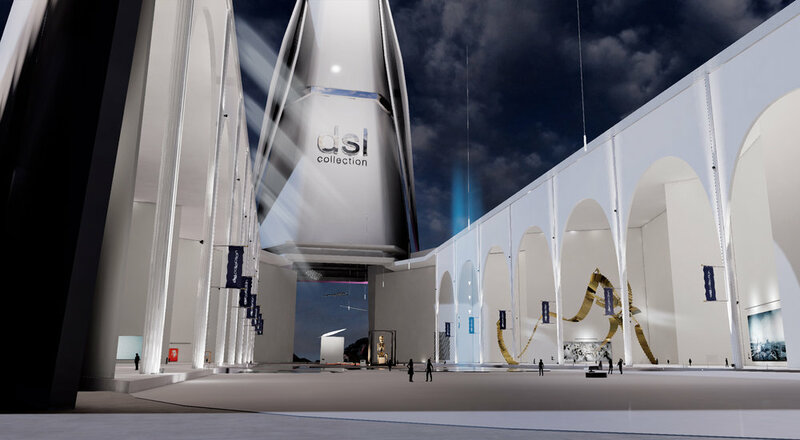 Through a selection of some 30 exceptional XXL artworks, dslcollection offers a museum journey in virtual reality of a new kind. 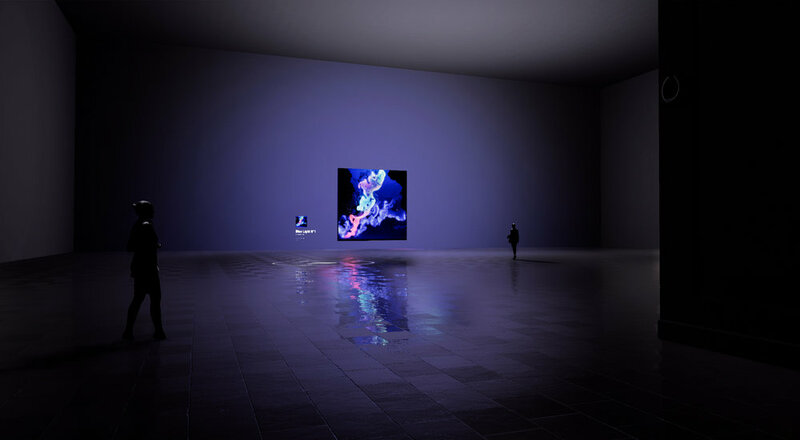 This experience redefines the relationship between an artwork and its spectator, the scenography path by playing on teleportation, the notion of scale and space by exposing huge formats with a concern for detail close to reality. Dslcollection is one of the major Chinese Contemporary Art collection in the world. What major collector has never dreamed of building his own foundation? 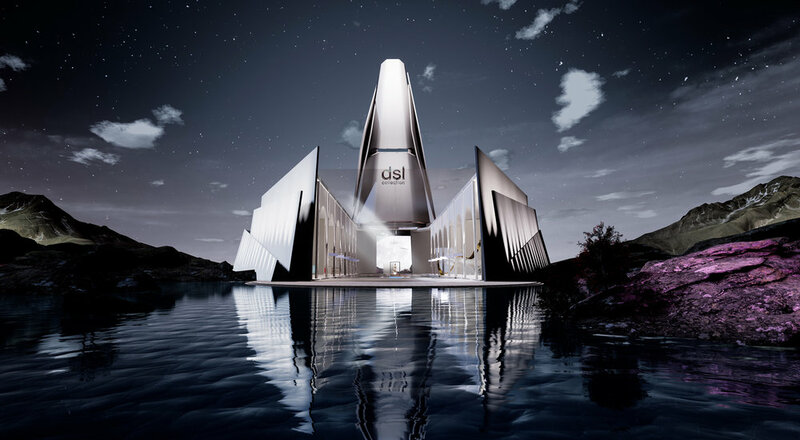 We have designed for dsl collection, a pure and massive building which houses in its heart an artistic agora offering the visitor a global and panoramic view of the collection. This open space invites the gaze to move freely and admire the exceptional quality of the selected works. The works of Chinese artists reflect the development of their country and their influence on the world: XXL! Some artistic installations are oversized and difficult to export. Sharing these Artworks easily is now possible with Virtual Reality... like the first transportable museum of Marcel Duchamp. Paintings and videos are imported from HD sources and installations are modelized in 3D from original pictures. Virtual Reality redefines the way you experience Art. You can freely move inside the museum with no constraint nor overcrowded area. By switching from human to God’s view, new visual perspectives are proposed to the visitor. He can also “touch” the Artwork by getting much closer than reality.